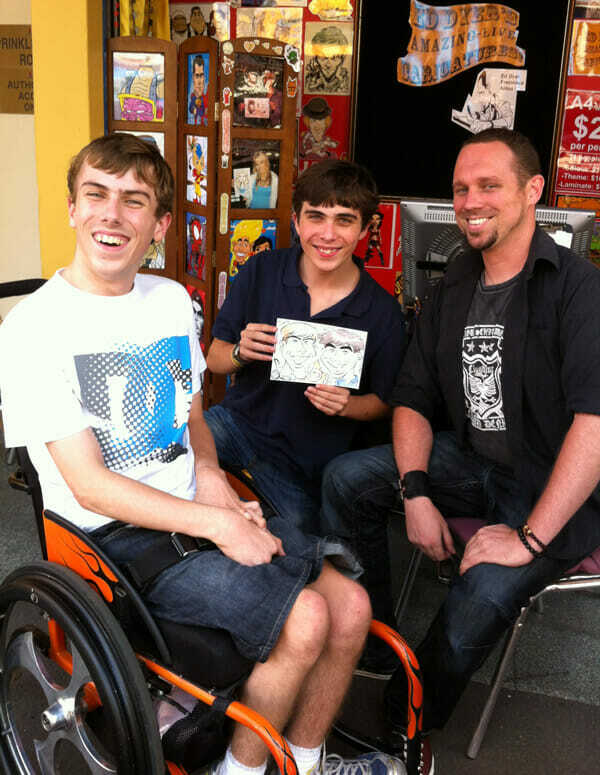 Daniel and William visited Luna Park today in Sydney and were captivated by the work of professional cartoonist and animator Ed Dyer. They started talking to Ed about their quest to save the orangutan and, as they have never had a drawing done of them before they decided that now is a good time. By the time Ed was finished it wasn’t surprising that a little orange ‘Buddy‘ had crept in to steal the limelight !! 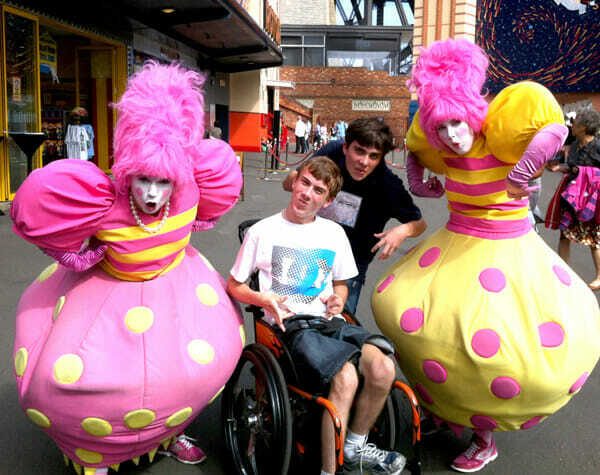 Two friendly locals from Luna Park wanted to get into the ‘Orangutan Spirit’ after watching Daniel and William have their caricature drawn.